Fall is here! Along with all the warm fuzzies, pumpkin spices, and delicious drinks. Time to cuddle up in the best quilted blankets! 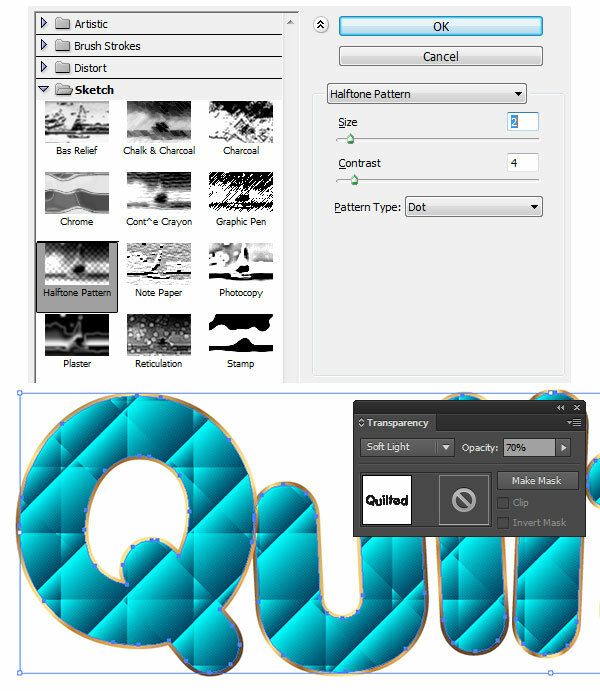 For your designs, there’s no need to spend countless hours cutting fabric and sewing designs over and over again to get that amazing quilted text vector look. 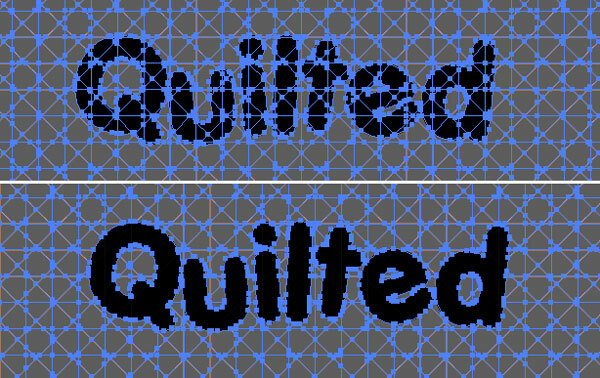 With a quick and easy technique mostly comprised of effects added in the Appearance panel, you’ll have quilted text vector designs done up in a snap! 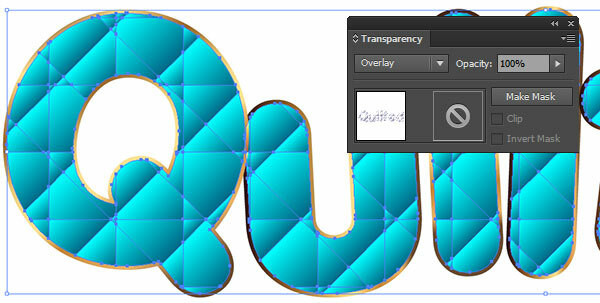 For this quilted text vector tutorial, start with the font of your choice. I like the roundness of Porky’s. 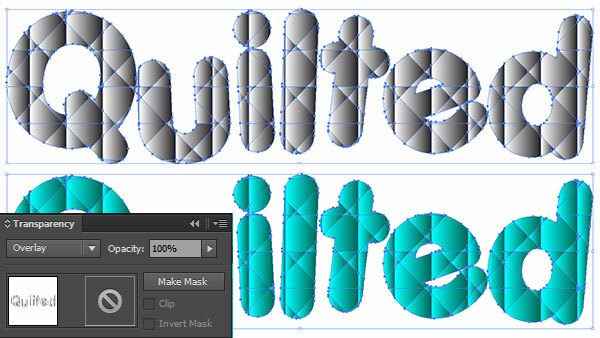 Whatever sans-serif you choose, make sure to Expand under Object when satisfied with its look. Set the fill color of the text group to one of your choosing. I’ll be choosing teal. Grab the Rectangular Grid Tool (you’ll find it under the Line Segment tool (/) in the Toolbar. Set the number of dividers high, to about 50, or so, for both Vertical and Horizontal. to keep the grid square and draw it out so it’s larger than your text. 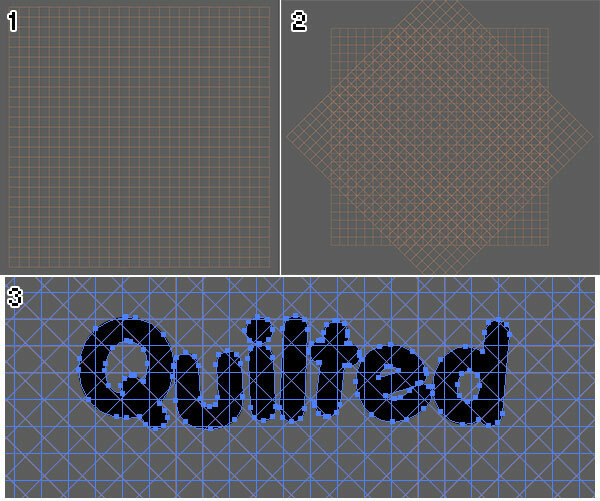 Set the stroke color of the grids to something bright and easy to see. I’ve chosen orange. Make sure it does not match your text color. Copy (Control-C) and Paste (Control-V) the grid and Rotate the copy 45° and Align their centers in the Align panel. Copy and Paste the text group. Place the grids over your copied text group. 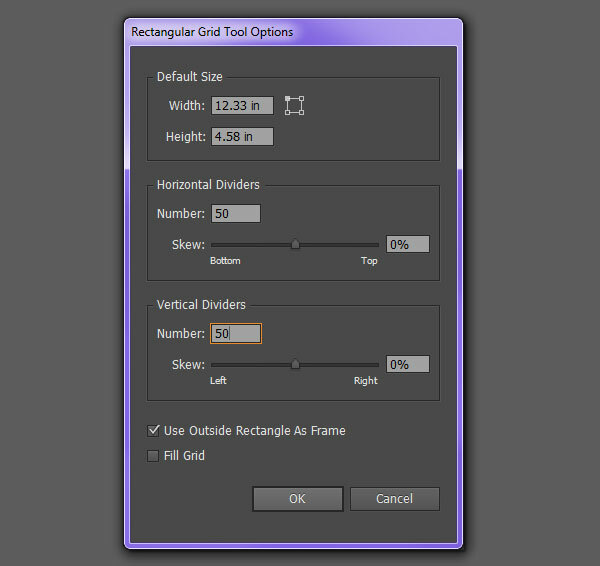 Select all three elements and hit Divide in the Pathfinder panel and Deselect. 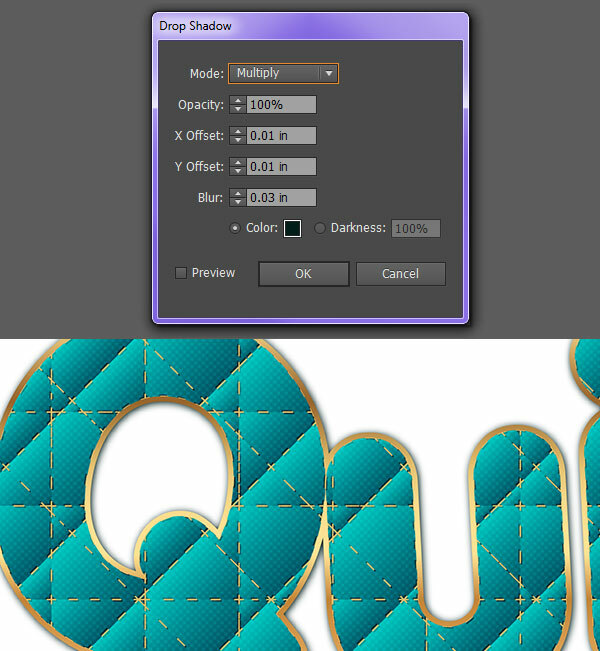 Using the Magic Wand Tool (Y), select the brightly colored grid. Delete the selected grid. You should be left with your text in many pieces. Group (Control-G) the text elements together. To see this better, set the fill color to something bright (I chose teal) and the stroke color to black. 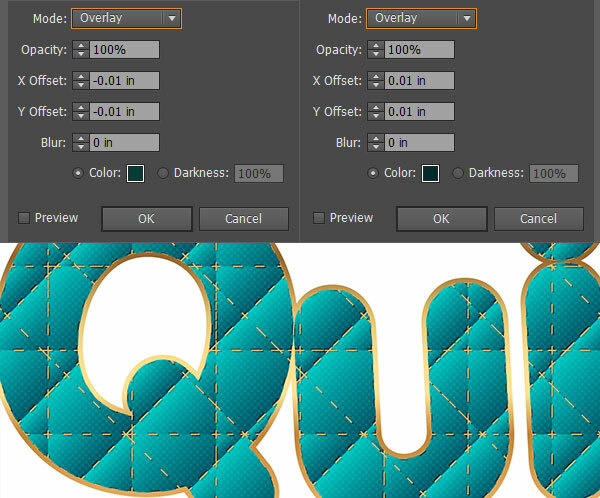 Next up on this quilted text vector tutorial, set the stroke color to Null. Hit the Gradient Tool (G) in the Toolbar. You’ll find it automatically applies a Linear black and white gradient to the pasted group. 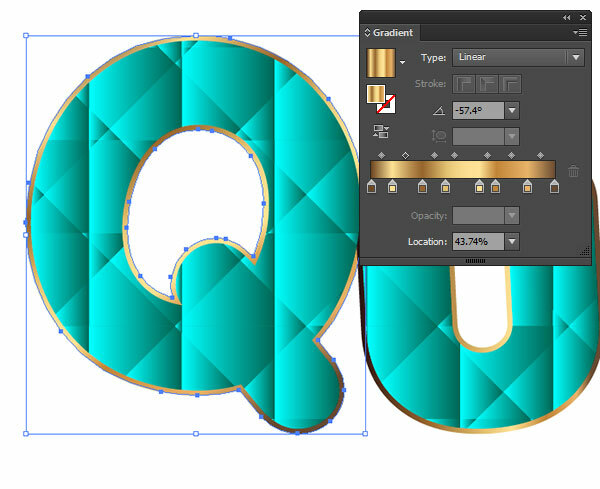 Align the copied group with the original text group and set the Blend Mode to Overlay. If you adjust the gradients, do so for each individual piece of the gradient in order to keep the dimensional look of each “quilted” piece. 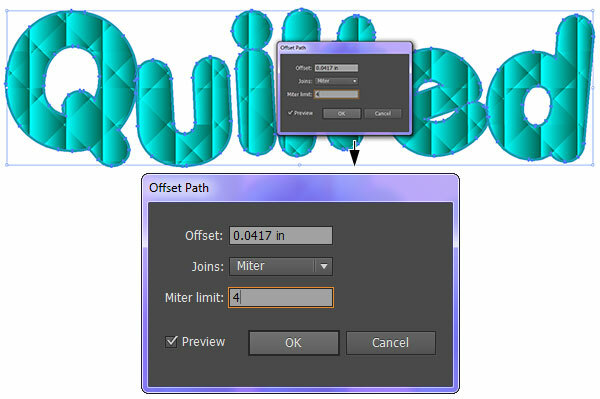 Select the original text group and go to Object > Offset > Offset Path and set the Offset to 2-4px. In the event you’d like the same color settings for the main text group and the gradient text group, set the fill color of the text group to #00A79D and the gradient to #262262 to #FFFFFF. Set the Blend Mode of the fill effect to Soft Light and Opacity to 70%. 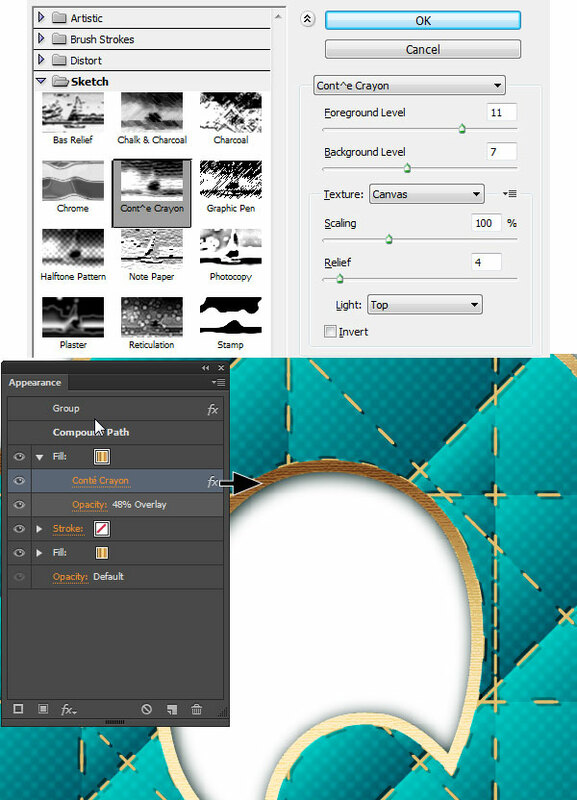 In the Appearance panel, set the Opacity level to 48% and the Blend Mode to Overlay. 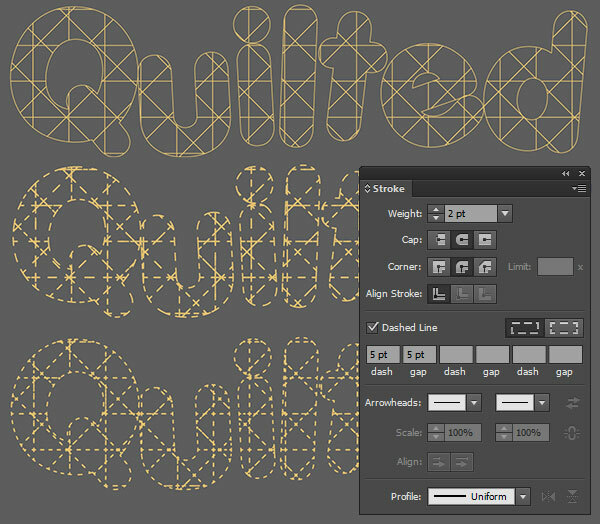 Add a background to your quilted text vector piece or create a whole poster design of quilted, sewn, or appliqued text with the fantastic technique you’ve learned in this tutorial. Share your results in the comment section below! Thanks for post, it’s very inspiring for budding designer like me.